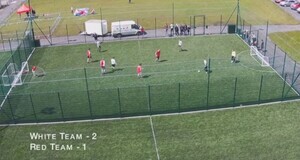 We used a drone to film the final of a local 5-a-side soccer tournament. While the tournament itself is of interest to only a small audience, using a drone to capture the action from a height is quite novel. The soccer tournament was part of a wider festival known as Hooley in the Heather and has helped build awareness of the newly constructed astro pitches in Knockatallon. The pitches will be officially opened by Packie Bonner next month. 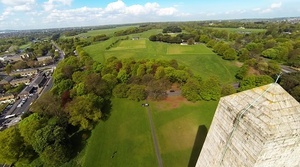 Posted in Misc and tagged drone, Five-a-side at 10:49 am on June 10, 2015 by Aaron McAllorum. Not so novel at all. Is this even drone footage at all? The shot barely moves. May as well have filmed the thing out the window of someone’s jacks. Just terrible. You should definitely watch the content before posting Aaron. riveting, what next, a cowshed from a great height? I just cannot wait. Are you going to be posting the 2 semis at any stage? It’s a good idea. Participants would love to see some of the highlights, I’m sure. … and they’re great for rounding up sheep and cattle if the dog’s on strike/ having a bad day. 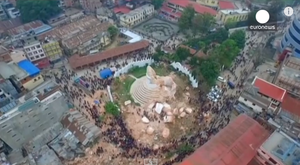 You are using a drone and decide to pick a crap angle to shoot the entire thing? Meh. That hasn’t happened in ages.